You’re most likely reading this around mid-December with the holidays hard upon us. I just heard on the radio that the old carol “The 12 Days of Christmas” earned the No. 1 spot in a poll asking, “What’s the most annoying Christmas song of all time?” Please … as bad as “12 Days” is, “Rockin’ Around the Christmas Tree” beats it in annoyance by a mile of ladies dancing, and even that one falls short of Burl Ives singing “A Holly Jolly Christmas.” Don’t get me wrong, I’m a sucker for good Christmas music, anything from the Mormon Tabernacle Choir to a great Gospel group to John Prine, well, crank it up. The “12 Days” song describes 12 increasingly elaborate gifts received by the singer from her “true love” at Christmas. This got me thinking about my own favorite Christmas gifts. And while material gifts tend to fade over time—used up, lost, broken, or forgotten—we each have personal, nonmaterial gifts that we’ll hold forever; those from friends or family, or perhaps a special trip, or the ideas from a teacher or even a book that influenced you. In thinking about the gifts that have had the biggest impact on my professional life, I of course ended up with more than a dozen, but in keeping with the “12 Days of Christmas” theme, I whittled down my list. Something shared by all persuasions—be they religious or otherwise—seems to be the “counting of blessings,” which is really just another way of naming those gifts. Here are mine, each with the name of the individual who gave me the gift. After returning from World War II as a highly decorated fighter pilot, my dad took over his father’s heating oil and gasoline business. A local hero, Dad built up the business over the next 15 years to include several gas stations, a fuel oil distributorship, an insurance agency, a sporting goods store, a used car lot, and part ownership in an Oldsmobile/Nash Rambler dealership. Turns out Dad hated it. He would later explain, “I could never answer the question, ‘How much is enough?’” With four young children, Dad sold out at a loss, while he and my mother went back to college full-time for three solid years. Those were “interesting times.” My mom became a teacher and my father a college professor. He never made near the money he did in his prior business life, but he was far happier. His gift to me, among many others, was teaching me that you have to do something compelling—ideally something you love; something that rewards you beyond just the money. I made multiple career moves with exactly that lesson in mind. Physics professor, farmer, writer, leader in the Friends Church (aka Quakers), David Telfair was a genuine Renaissance man. He could talk physics, religion, agriculture, or philosophy at the highest level and—despite his very slight frame—could split wood with an axe at double the rate of 18-year-olds twice his size. That was when he was 70. He taught me a lot about the dignity of work and what author and educator Stephen Covey called the “law of the harvest.” You can’t wake up in September, decide to plow, plant, and cultivate a crop of corn, then expect to harvest it in October. (At least not in Indiana, anyway.) You’d better work all winter to have your equipment ready. Plant at the first opportunity by early May. Keep your field free of weeds and vermin all summer long. Then, if you’ve done everything right, you’ll be knee-high by the 4th of July and take in a bumper crop come October. I constantly see builders try to push a new product or products out before they’re ready. The paybacks are hell. You can’t cheat the harvest. (I confess, I’ve tried a time or two.) It never works. During my senior year in high school, I decided to become a lawyer. Thus, I’d opt out of calculus with the tough, always demanding Marion Simpson who had taught me Algebra II the previous year. I thought I’d take it easy and put myself in an extended study hall, which was mostly just a place for fun, games, and hijinks. I excelled at all three. On the first day of senior calculus class, my pal Susie Miles told Miss Simpson my plan. A thin, frail-looking woman, Miss Simpson immediately left the room, marched down to study hall, grabbed me by my shirt, lifted me out of my seat, marched me back to her classroom, unceremoniously deposited me in an open chair, and without a word, resumed class. I was there each day for the rest of the school year. There was no arguing with Miss Simpson. Her only words were, “You’ll thank me for this someday.” And so I did, on multiple occasions. She was an exceptional teacher and I owe a great deal to her for my acumen and appetite for numbers, statistics, and analysis. Gaining that appreciation has been invaluable in my career. By the way, that summer after graduation, Miss Simpson became a first-time bride at age 55 to Dr. Telfair, who had lost his first wife to cancer. But that’s a lesson for another magazine. People often ask where I learned to write. For writing as a craft, three teachers were instrumental. First was my high school English teacher Marilyn Sedam. Yes, she was my mother. But how good a teacher was she? For our 30-year class reunion, the organizers asked classmates to vote on which teacher they’d most like to see again. Marilyn received more votes than all of the other teachers combined. With a masters in linguistics and a love of Greek mythology, Shakespeare, and a good pun, she was an absolute stickler for grammar, syntax, and proper sentence structure. End a sentence with a preposition, use a vague reference pronoun, or leave a dangling participle? Not on my mom’s watch—or you suffered the consequences. Then there was Dr. Milton White, the most renowned professor of creative writing at old MU. Mischievous and often cantankerous, he didn’t suffer fools gladly. And my oh my, classes in creative writing attract fools in legions. No one escaped Milton’s wrath. The many literary dressing-downs I received in front of the entire class, however, made me a far better writer. Few students took more than one Dr. White class, but I suffered—and learned—through three. I’ve won three major writing awards, one each for the Marilyns and Milton. I hope that’s some reflection of the gifts they gave. They say a student’s graduate-school experience is largely determined by their relationship with one or two good professors, and for me that professor was Dr. John Douglas. From Day 1, Dr. Douglas made us prepare and present a pitch to “the board,” of which he was chairman. No matter how well you thought you’d done, he’d find 10 or 12 major failings in your presentation. Then he’d make you redo it, again and again, until you got it right. It was absolutely infuriating, but for my career, the ability to stand up and speak in front of a group has been invaluable. The founder and president of Wilson Learning Worldwide taught me how to sell, albeit from a different perspective. The many days of Wilson Learning sales training courses boil down to one idea: Your job as a salesperson is not to sell but to help prospects buy. You accomplish this by showing how what you have will solve and prevent their problem, not by overwhelming them with the features and benefits of your product or service. That’s it: solve and prevent problems at a fair price. It applies whether I am selling training courses, consulting services, lean process to builders, or simply ideas in meetings or presentations. Understanding how to help someone buy is a gift that, indeed, keeps on giving. In the study group, we didn’t just read Deming, we met with him monthly during his trips to Detroit to see clients, even as he passed the age of 90. We sat with him, talked, got to know him, and truly learned at the feet of the master—a wonderful gift that influenced my career immeasurably. Earlier this year, I wrote two columns on Deming and how current his lessons remain. Those gifts are still available to anyone for the price of a couple of books. After six months of me trying to forge a path as the new “quality guy” for a major public builder, I was still running into roadblocks in every direction. Jim Waldrop, who was head of the builder’s mortgage company, of all things, picked me up, dusted me off, listened, filled me with good ideas and advice, expressed total faith in me, and sent me back in for round two … and three … and four … until I finally won by TKO. I guess I just wore everyone down, and the field began to buy in. That gift of confidence from Jim meant everything to me then, and I’ve never forgotten it. Mike was there on my first day with Pulte Homes in Chicago, 30 years ago. He has appeared in my columns numerous times over the years because I learned so much from him. Perhaps the greatest gift was his intense focus on building the best base of suppliers and trades. Mike sought out every opportunity to remove each obstacle that got in their way. He preached that if you do that—really take care of your suppliers and trades—then they’ll do everything possible to take care of you. And for Mike, they did. He was tough but fair, and he always had their backs. That message turns up in most every presentation I make. Another mentor who makes frequent guest appearances in my 21 years of columns, Gary was the single best at scheduling. Each day he woke up thinking, How can I make my suppliers and trades more profitable today? Of course, he didn’t write them bigger checks, he just ran the field and support functions so well that suppliers and trades found it easy to make more money at a competitive bid with Gary than with their other builders. Building 650 units annually in a difficult Minnesota climate, Gary’s schedule was good as gold—60 days out. Seeing firsthand how it could really be done was a gift of infinite value that inspired me. One of the brightest guys I ever met in home building, Doug could take in every aspect of the profession, translate them so everyday working guys completely understood, and then help them to implement. Doug taught me that learning even the most technical subjects can and should be fun, and at TrueNorth, we try to pass on that gift in every workshop we do. I wrote two entire columns last spring about Bill Pulte and the multitude of lessons he taught me. I won’t try to repeat those lessons here. I recently had 8 minutes to attempt that when I presented Bill’s posthumous induction into the National Housing Quality Awards Hall of Fame, to his son, Bob. I’ll sum that up by acknowledging Bill’s gift to me—of a career. Without his leadership, influence, and vision, I’d have thrown in the towel and walked away from this industry long ago. And I am just one of thousands who received that gift. Thanks, Bill, from all of us. That’s a pretty good haul for one guy; so many of those gifts unexpected, most of them unearned. After publication, I’ll send this column to the four givers who are still alive and thank them again. But right now—before you’re distracted by one more email, text, or bright shiny object—make your own list of 12 great gifts you received from your business mentors. (And it’s OK if you hum that sappy song while you do it. It’s not so bad.) 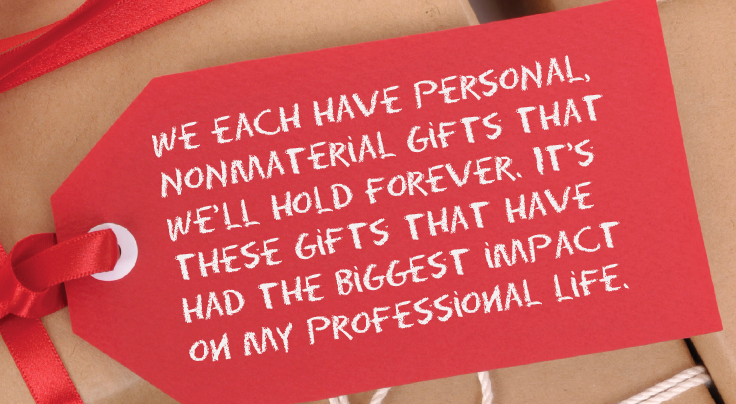 Then let your gift givers know what they mean to you. That will make for happy holidays for all. For free copies of our “Trip Cost Calculator” and “Saved-Day Calculator” Excel templates and a PDF of “Bridging the Margin Gap,” a collection of columns on practical ways to improve profit, email your request to info@truen .com. Scott Sedam is president of TrueNorth Development, a consulting and training firm that works with builders to improve products, process, and profits. 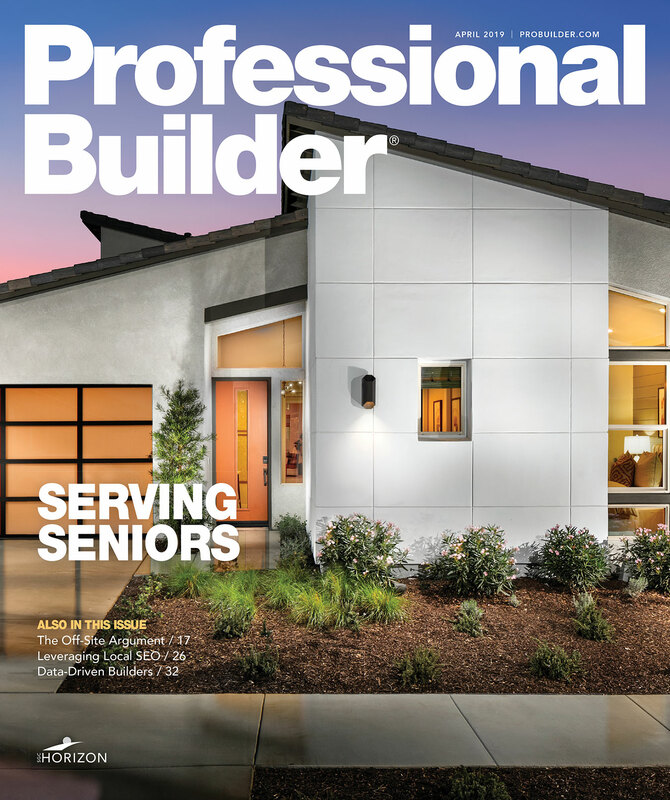 A senior contributing editor to Professional Builder, Scott has written award-winning commentary on all aspects of the business of home building and won the 2015 Jesse H. Neal Award, business journalism's most prestigious prize, for his commentary in Pro Builder. Scott invites you to join TrueNorth's Lean Building Group on LinkedIn and welcomes your feedback at scott@truen.com or 248.446.1275.